Nusrat Fateh Ali Khan was a clever musician who always looked for at the demands of his audience. He did not confine singing to Qawwali and Sufiana but also sang love songs, ghazals and even Pakistani cinema industry playback. In 1980s, many Indian musicians begin experimenting with Western instruments such as Guitars and Drums. 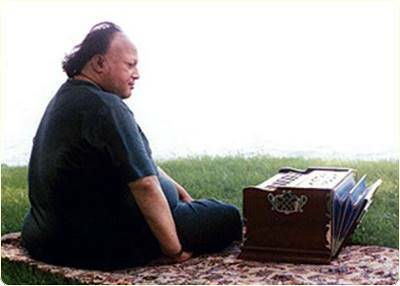 Many Sufi artists stick to harmonium and tabla, but Nusrat Fateh Ali Khan did not shy from use of Western Instruments. His album Mast Mast was the first album by any Qawwal that used remixing as well as bass guitars and drums, and the rest as the say is history as Dam Mast Qalandar by Nusrat FAteh Ali Khan became the highest selling cassette in Pakistan of its time.